Valley Forge National Historical Park commemorates more than the sacrifices and perseverance of the Revolutionary War generation -- it honors the ability of citizens and their leaders to pull together and overcome adversity during extraordinary times. Check our website at www.nps.gov/vafo for transcripts of the podcasts and don't forget to look for our two other podcasts titled "Nature and Science" and "The View From the Forge"
Listen as park archivist Dona McDermott talks about the contributions of General von Steuben, using photos from the collection of Valley Forge National Historical Park. Watch park rangers demonstrate the firing commands of a blackpowder flintlock musket. These are the training and combat commands as developed by General von Steuben at Valley Forge. The first firing uses the training commands and the second shot is based on the combat commands. This is a re-shoot and update of the earlier posted musket demonstrations. Park Ranger Peter Maugle tells the story of Rifleman Timothy Murphy at a campfire program. Watch the campfire and listen as Ranger Maugle tells the story of Timothy Murphy's exploits during the Revolutionary War. Murphy, a rifleman, spent several years in the Continental Army and was invloved in some of the major battles of the war. Learn more about one the heroes of the revolution that many people have forgotten. Park Ranger Peter Maugle discusses the use of earthern forts known as redoubts. Hear how redoubts were constructed and used by the Continental Army at Valley Forge. Learn how the design and placement of the redoubts assist in the defense of the encampment. Download this program and bring it with you on your visit to Valley Forge and listen at Redoubt #3 (Tour Stop 7). 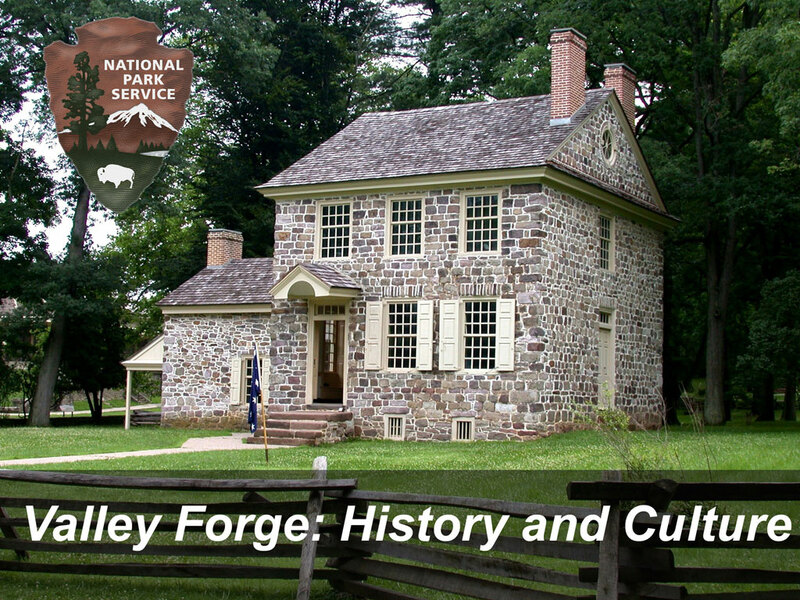 Natural Resource Manager Kris Heister explains how the natural resources and terrain of Valley Forge offer significant military advantages. General Washington and the Continental Army used these advantages to help protect and supply the encampment. Listen and watch at home or download this program and listen at tour stop #2 (Muhlenberg Brigade) in Valley Forge National Historical Park.